We are Eliza Jacobi and Claire Phan Tan Luu. We work and live in Amsterdam. We have lots of fun giving workshops for book and paper conservators. We love going to new places and meeting our colleagues in other countries. Eliza Jacobi holds an MA in Modern Art History, with a minor in museum studies, from the University of Amsterdam. After her graduation in 2004 she worked for a period of three months in the library of the Dutch University Institute for Art History in Florence. In 2009 she completed a four year book and paper conservation training at The Netherlands Institute for Cultural Heritage (now RCE). As part of these studies, she completed two five month internships, first at Lingbeek Papierrestauratie in Haarlem, The Netherlands (2008) and then at the Book and Paper Conservation Studio in Dundee (Scotland, 2008). In 2009 she worked voluntarily in Yogyakarta, Indonesia, directing a conservation and digitization project in the library of the Kraton (the Sultan’s palace) during a period of four months. In 2011 Eliza worked as a paper conservator in the National Gallery of Australia (Canberra) during 3 months. In 2012-2013 Eliza worked as a paper conservator at the Stedelijk Museum Amsterdam. From 2010 till 2016 she has been working as a paper conservator in the private conservation studio RNA in Amsterdam. In 2016 Eliza moved to Malaysia where she works in the conservation department of the Islamic Arts Museum in Kuala Lumpur for one year. Claire Phan Tan Luu is a conservation scientist. She holds a master in chemistry from the University of Aix-Marseille III (2004) and graduated from the University of Sorbonne-Paris I in book and paper conservation (2009). She joined The Netherlands Institute for Cultural Heritage under the ink corrosion prognosis tool project and the Dutch national conservation program, Metamorfoze (2007-2010). 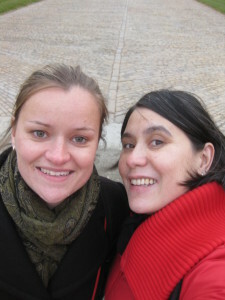 Since 2011 she has been working in the Netherlands as a freelance paper conservator/researcher.